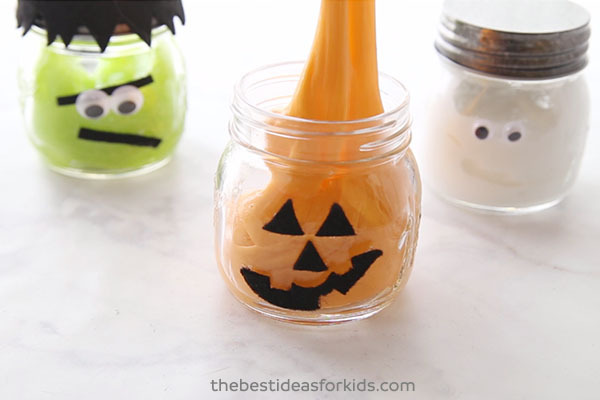 We know that kids love helping to decorate for the Halloween season and this craft is perfect for that! 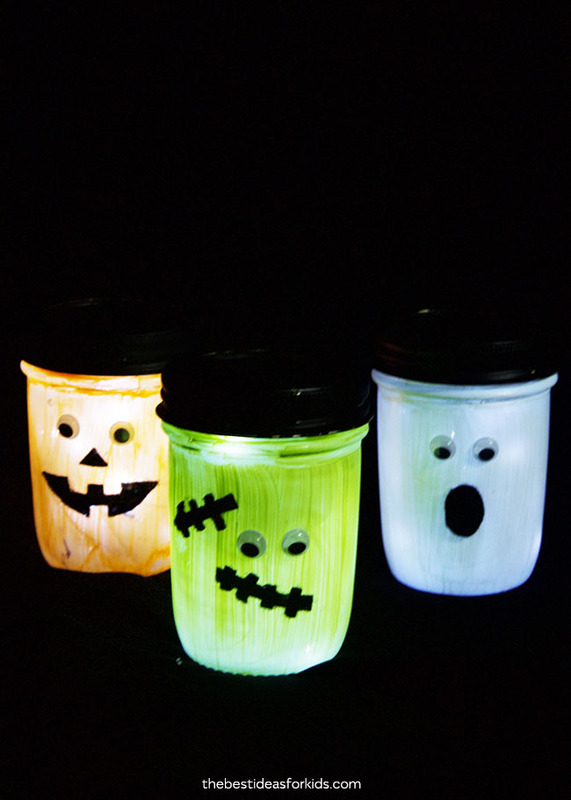 These mason jar Halloween lanterns will add some Halloween fun to a table or mantel. 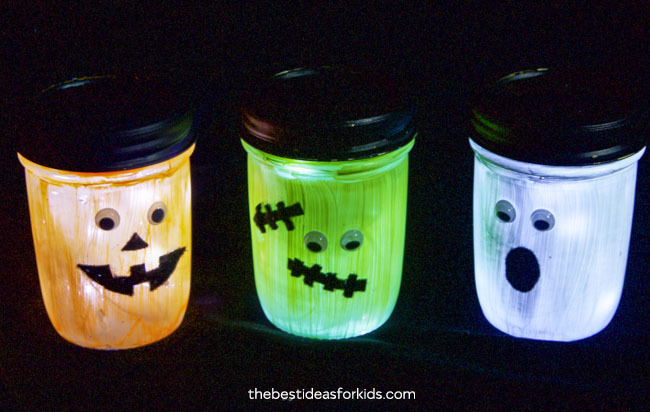 Kids will love helping to make them and seeing them light up in the dark. 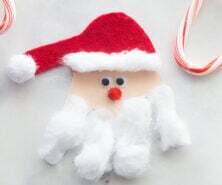 They are so easy to make and we have three different options you can choose from. Try all three or just make your favorite! We filled our Halloween mason jars with tiny fairy lights. They create the most beautiful glow through the painted glass. You can also just just paint the jars and leave the lights out and they would still look great. For safety, please remember that small flameless candles can contain button batteries so be sure to keep any of these away from small children. We prefer the fairy lights for this reason which come with a screw driver secured battery compartment. To create the beautiful glow, you only need to use a thin coat of paint on the jars so that the light can still shine through. 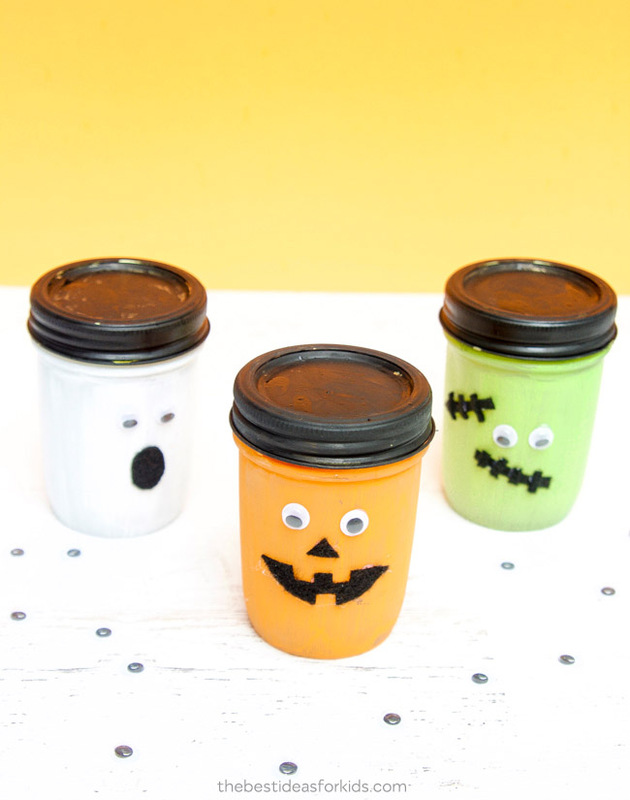 If you aren’t planning on putting lights inside of your jars, then you can use a spray primer and then paint the jars with a few coats of paint. We like this brand for painting mason jars. Adults only should do this part. Note: keep batteries away from children, ensure there is a proper secured closure on the battery compartment. 1. 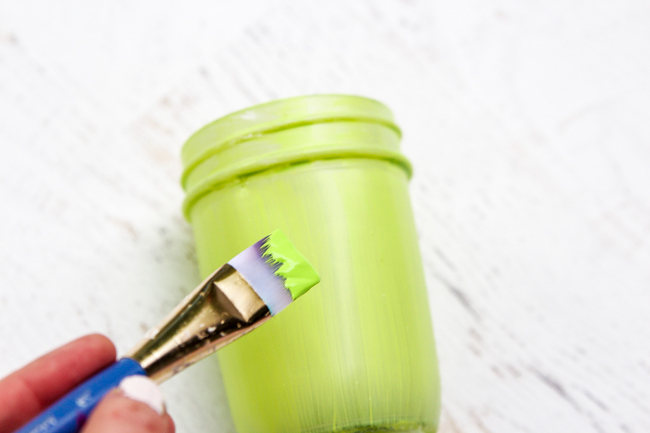 First you will want to put one coat of paint on your mason jars. It’s okay if the paint is still a little translucent. This will just allow the lights to shine through in the dark. 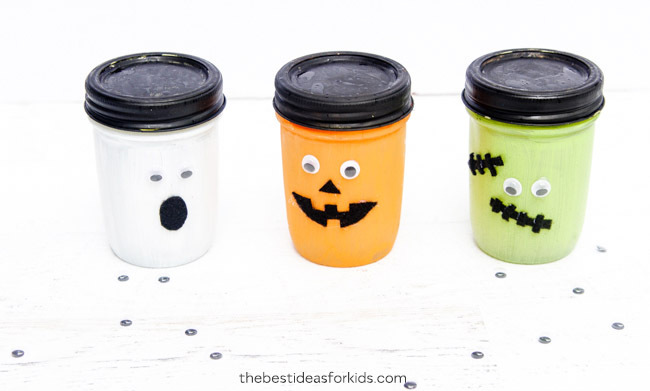 If you would like to make all of the Halloween characters, you will need to paint a white, green and orange jar. 2. 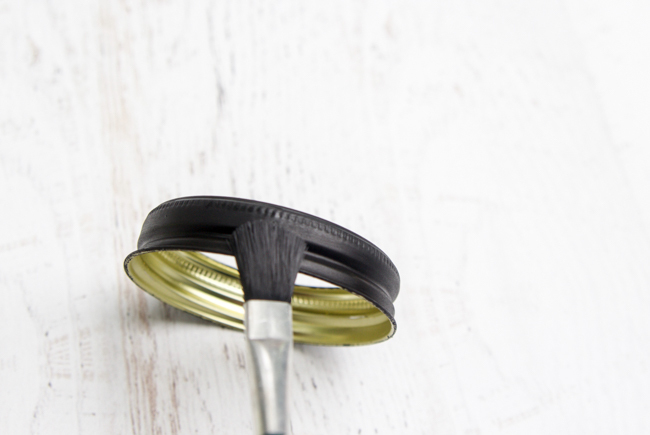 This step is optional, but if you want your lids to be black, apply a few coats of black paint and allow to dry. 3. Now it’s time to add the details to each jar! 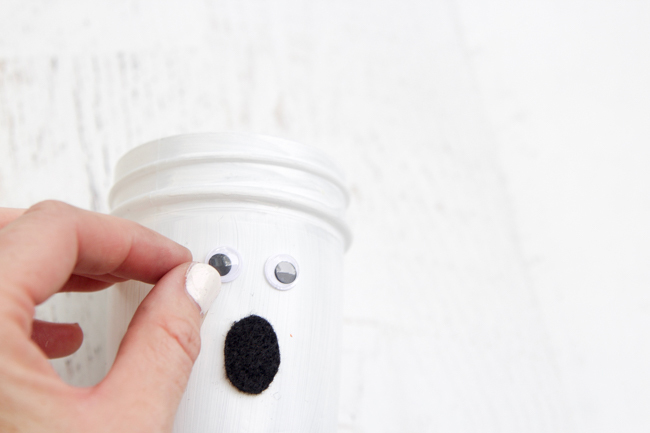 For the ghost jar, attach 2 googly eyes and a felt oval for the mouth with hot glue (adults only) or glue dots. 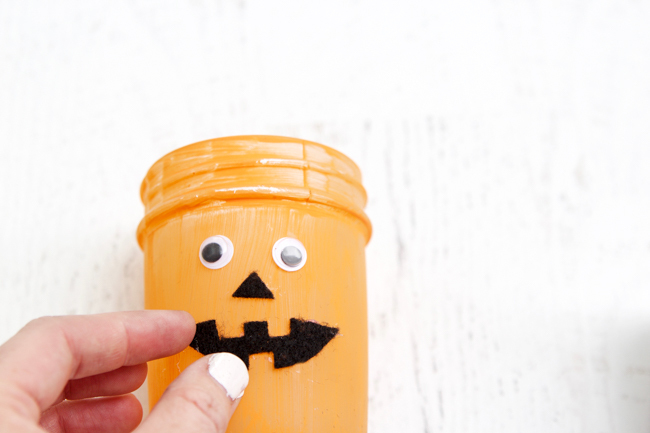 To create the jack-o-lantern jar, attach 2 googly eyes, a felt triangle for the nose and a felt mouth. 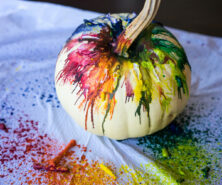 You can also make the eyes of the pumpkin with felt too. 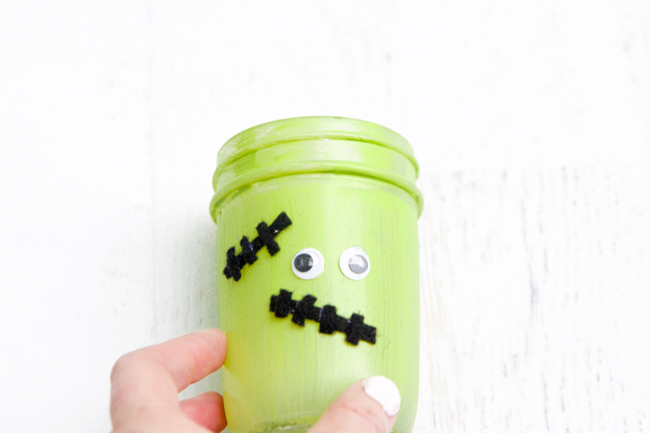 And finally for the Frankenstein jar, attach 2 googly eyes and black felt for some “stitches” on the forehead and mouth. 4. Finally insert your fairy lights into the jar, turn them on and secure the lid. Place the jars in a dim room and watch them glow! We just love how these Halloween lanterns turned out. Which one do you like the best? We think all three are adorable but Frankenstein might be our favorite! 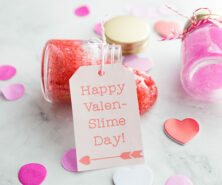 This Halloween slime is perfect to make for party favors or as a craft activity at a Halloween party! 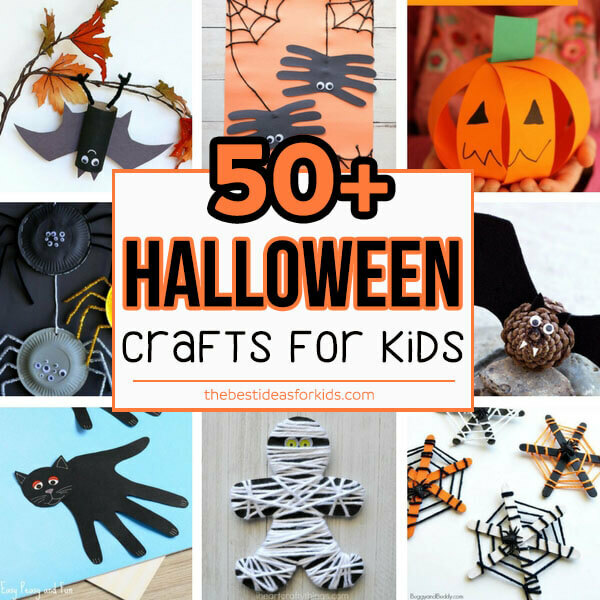 See over 50+ other Halloween Crafts for kids. There is something for everyone in this list!